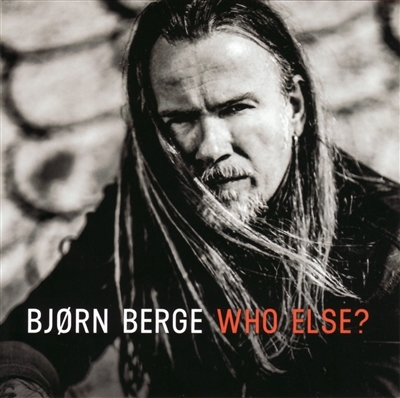 Galileo Music Webshop: Bjørn Berge: Who Else? It’s definitely possible to be born in the land of the fjords and make your mark on the blues. Bjorn Berge has done so for many years, both in his home country Norway and abroad. After a hiatus of 6 years he finally releases his new studio-album “Who Else?”. Winner of two Norwegian Grammy Awards, Bjorn started the recording though as early as 2014, with the intention of releasing the album the same year. It started out like an acoustic record and it all was going according to plan. But during this time, he got asked to join the very popular Norwegian band Vamp who was going on tour, and Bjorn decided to put his solo album on hold and wait until Vamp had a break. That took a while. “When it got decided that Vamp was going to slow things down in 2019, I desired to write some new songs and record everything all over again - and this time with a band”, Bjorn explains. “All the songs are written by me, and the lyrics are written by Ellis Del Sol, an American living in Norway. For me, this album is everything from blues and rock to Americana and even country. It’s about love, driving, drunkenness and craziness”. We’re used to see and hear Bjorn Berge simply armed with his guitar and his stomping right foot. However, on this new album he takes us in new directions too. For many years Bjorn’s audience have experienced what you can call ‘World Championship in quick and rough guitar playing’, both on record and live. Now he feels that it´s time to give some groove to the people. On “Who Else?” he’s accompanied by an exceptional band, which brings a new dimension to his music; more feel, more tranquillity, more groove and more emphasis on Bjorn’s excellent guitar playing abilities. Besides being one of the greatest European blues men, he is a true musical phenomenon. Bjorn can deliver it on the jazz stages, scrunches rock ‘n roll-wannabees and surely is simply one of the greatest guitarists in the world. Bjorn Berge is a well-known name for almost 20 years, he has a voice like gravel and broken glass, and those who have seen this man on stage rate him highly as a true performer and virtuoso of the twelve-string guitar. Luckily enough the ‘guitar express from the North’ has delivered a new dynamic and energetic album where he puts this all on show again. With him, the blues seems to have no limits!